Principal Eric Sacco in Kansas wears his school’s eagle mascot costume on the first day of school. Principal Lindsy Stumpenhorst in Illinois plays a game of hot potato with her staff during the school day. Principal Andy Jacks in Virginia dresses up as Elf on the Shelf and hangs out in the media center. Principal Tonya Hilburn in Louisiana dresses up every Friday and brings the Treat Trolley around to her staff members. I could keep going on about what I have seen from principals in my PLN and how they inspire me, but the point is, principals, you need to be silly. As an aside, I am an extroverted introvert, and many of my principal friends are, too. We can be “on” and exhibit outgoing characteristics, but we can also be “off” and need time to be by ourselves to recharge. I say this because, although I’ve been silly and worn costumes like a pirate, Horton from Dr. Seuss, and the Mad Hatter for years, it takes preparation and energy to do so. But, principals, being silly is so worth it. Students, families, and staff members love to see you dressing up, singing, dancing, kissing a pig, camping on the roof, taking a whipped cream pie in the face, all those crazy things principals do. Being silly also demonstrates to staff members that it’s important to step out of your comfort zone and take risks. We expect students to do that so we educators need to role model that for them and who is the lead role modeler for silliness? It’s the principal. Being silly makes you human, accessible, and let’s others get to know you on a different level. You can share hidden talents, passions, unrealized dreams, and show a side that many don’t always get to see from the principal. A final reason to ride a tricycle through the hallways, zip down the slide, jump rope, and sing karaoke is that it adds to the spirit and culture of a school. If the principal is willing to be silly and have fun, that attitude will be contagious and fun will permeate your school’s hallways and spaces. So principals, step out of your comfort zone, have fun, and be silly. After being inspired by watching other principals’ silliness, I sang a version of Adele’s “Hello” in my welcome back-to-school video, live, no lip syncing! The reception has been positive and amazing and I’m already thinking about my next act. Dancing anyone? What Is This #PIAchat Thing All About? #principalsinaction is a wonderful group of principals who are always working to be better for their kids and their schools. 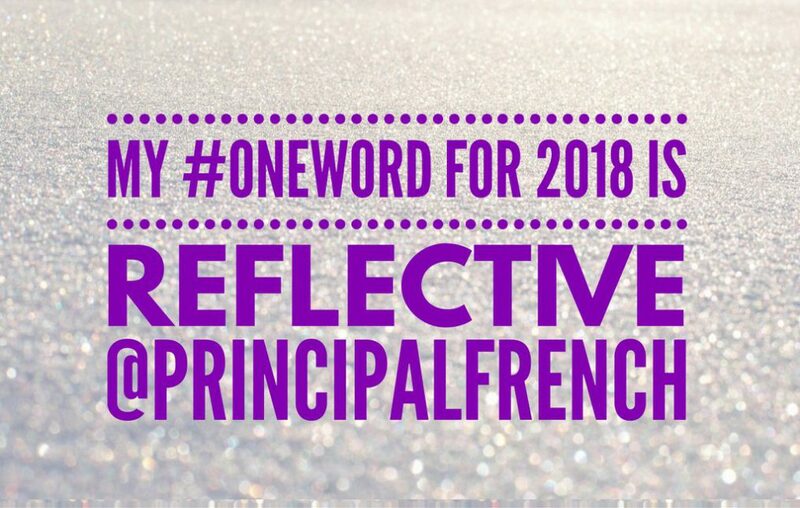 There is a running hashtag on Twitter where principals, and others in and out of education, can see the great things principals are doing every day. The group consists of about 100 principals that stretch from coast to coast across this beautiful nation. But there is also a Twitter chat that occurs on Tuesday nights at 8:00 CST that is what we consider the fastest 30 minutes on Twitter. Moderators post a few questions and principals from all over the country respond. We end with a call to action or a challenge that many of the principals take on as the focus of sharing the great things in their school. For me (Mark), engaging in Twitter chats has provided some of best professional development I have received, and it’s free! I started as a lurker, advanced to answering questions and contributing, to these days volunteering to facilitate and lead Twitter chat discussions. After four years of Twitter chats, I can even engage in two chats at once provided I’m using the TweetDeck tool. For me (Ryan), Twitter chats have been a way to constantly push my thinking and hear what others have to say on topics that I am not so comfortable with. It took my awhile before I felt comfortable with jumping in and actively participating in the chat. I would sit and watch the chat, but thought that no one could learn from me. I was wrong! There is so much power in sharing your thoughts and your story. Your answer to some of the questions might spark a thought of another person and that is what it is all about. Pushing each other to be better leaders and better people. For me (Jay), Twitter chats really got me started in the Twitterverse. I initially was a lurker, like Mark, but when I jumped into the discussion, I realized I could learn so much more. The connections began and with it came a comfort level to connect with others face to face at conferences and EdCamps. Before Twitter, I either wouldn’t have known other attendees or I would have been nervous to walk up to speak with them. Twitter became the conduit to deeper professional relationships that fostered learning unlike any other learning before. Why take part in a chat? Chats help to focus a conversation. Moderators or co-moderators post questions that pertain to a topic, often in a Q1 (Question 1), A1 (Answer 1) format. Chat participants answer the questions and this oftens provides ideas and suggestions that hadn’t been thought of before. Chats provide connections to others with similar and different perspectives. This allows participants to grow and learn that don’t occur in other ways, like reading books or blogs. Participating in chats helps to grow your professional learning network, or PLN. Chats can be searched by hashtag. Our hashtag is #PIAchat, short for #principalsinaction chat. If you happen to miss the chat, you can always go back and search the hashtag to see what you missed. Hopefully you can join us for the next #PIAchat on August 22, 2017, at 8:00 CST and learn what this #PIAchat thing is all about! With school starting back up around the country, it is important to start thinking, How do you challenge yourself? Jay Posick, Mark French, and I (Ryan Sheehy) are principals that have connected through being in a PLN called Principals In Action. Principals in Action is a group that was started by one of the Kids Deserve It authors, Adam Welcome. It started with a challenge by Adam to ride the slide with kids then tweet the picture using the #principalsinaction hashtag. The group is now so much more than a hashtag. Using Voxer as our platform, we communicate on a daily basis, discussing triumphs, struggles, and the everyday occurrences of being a principal. We currently are a group of over 100 administrators that have made a goal of being out of the office and truly being a principal in action. Our group stretches from coast to coast and everywhere in between. One of the ways we have been able to challenge each other on a daily basis is through creating challenges that everyone participates in then tweets about using the #principalsinaction hashtag. These challenges come out each week and are posted all over Twitter by using the hashtag. This past year some of the challenges included: ride a tricycle, ride the bus, serve food in the lunchroom, eat lunch with students, play on the swings, and read to students. These challenges are constantly pushing administrators out of their office and out with kids and staff. For me (Ryan), last year was my first year as a principal. Being part of this PLN provided me a level of encouragement, professional development, and outside thinking that I was not getting in my district. The challenges provided me an excuse to document some of the fun things I was doing outside of my office. I have shown up to principal meetings and other principals look at me and say, “Ryan, it always looks like you are having fun.” I am and I show it off because school should be fun and the challenges had that component for me. I have enjoyed riding tricycles, slipping down slides, serving lunch in the cafeteria, and just being with kids. We need to be the one that shows teachers, students, and parents that principals need to be with kids, not in their office. For me (Jay), I was in my tenth year as principal in the same building. #principalsinaction provided the inspiration and support to get out of my office, interact with students and staff, and accept challenges. I honestly don’t remember all of them, but I do remember my favorite one, shadowing a student for a day. I actually shadowed two students- a 6th grader in the morning and a 7th grader in the afternoon Lunch and recess duty were sandwiched between the two shadowing opportunities. The day was spent in classrooms learning right alongside the students. Interested students filled out a Google form and then a random number selector determined who I shadowed. The students and staff were awesome that day and it was amazing being in the classrooms with them as a student. I think the staff enjoyed me being in their classrooms far more than an observation or a walkthrough, too. For me (Mark), last year was my 35th as an educator and 20th as an elementary school principal. Being connected with other leaders across the country has revitalized my attitude and energized my spirit. I have a group of colleagues who inspire, motivate, encourage, and hold me accountable. The challenges get me out of my office and connecting with students, teachers, food service team members, paraprofessionals, bus drivers, custodians, parents, and other stakeholders. I am excited to be a principal in action at this point in my career. We challenge you to get out of your office and interact with your students and staff members. We encourage you to follow the #principalsinaction hashtag and participate in the challenges. Find ways to share your experiences with your school community through your newsletter, blog, and social media accounts. Join the movement, get out of your office, and show others how much fun being a principal can be!